Rule #110: Shopping is cheaper than therapy. 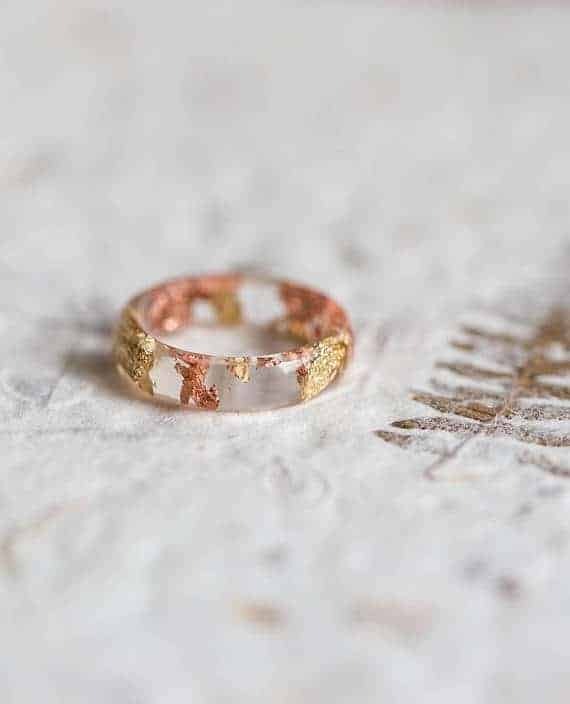 I’m in love with these rings because they can be mixed + matched, you can wear them on any finger you want (just choose the appropriate size obviously), and they’re only $36! I’m in love with this rose gold one right now, but I definitely plan on getting a few more in the future. This dress y’all. It’s comfy, gorgeous, and only cost me $26 when I ordered it through Jane.com! I went for a medium because I wanted to have a looser, more comfortable fit for the upcoming months. I’m actually hoping to wear this for maternity photos later on down the line. It’s made of great quality, despite being such a great price! Normally, I get scared when things aren’t in the Nordstrom price range (stupid, I know), but Jane has never steered me wrong. Now, I’m obsessed with the boutique who makes these dresses: 3 Brunettes Boutique. 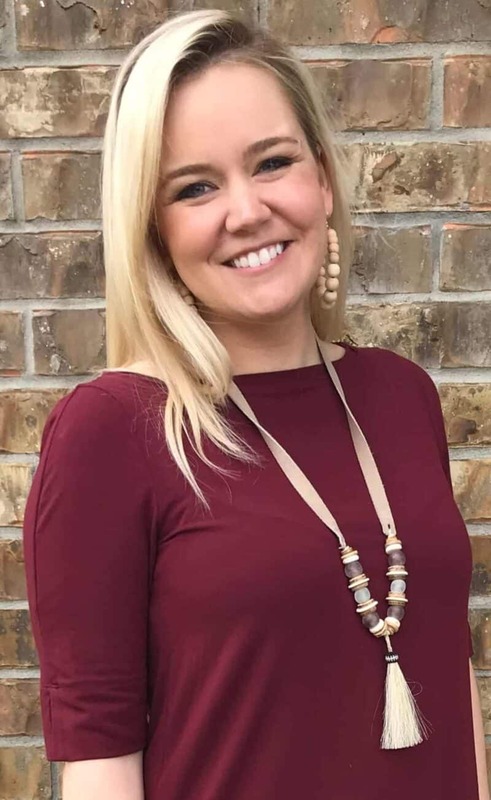 They have a ton of cute dresses, accessories, tops, bottoms, you name it – PLUS it’s all free shipping. They’re on my radar for good now! 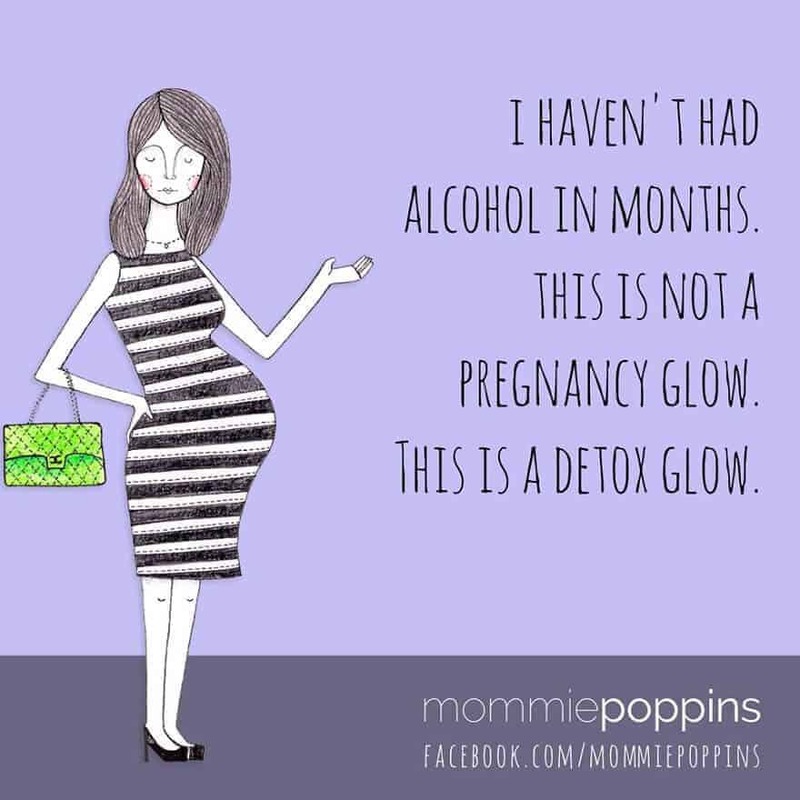 This is another good find that could work for maternity + beyond. I’ve already posted about this dress, but I’m pretty smitten with it. 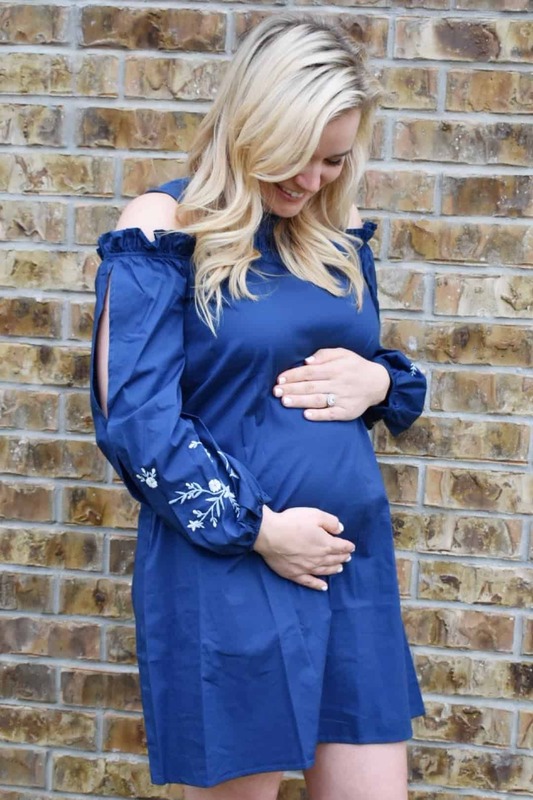 It’s a non-maternity dress that works great now and will work even better after Baby G #2 is here! I love the embroidery and the sleeve cutouts. 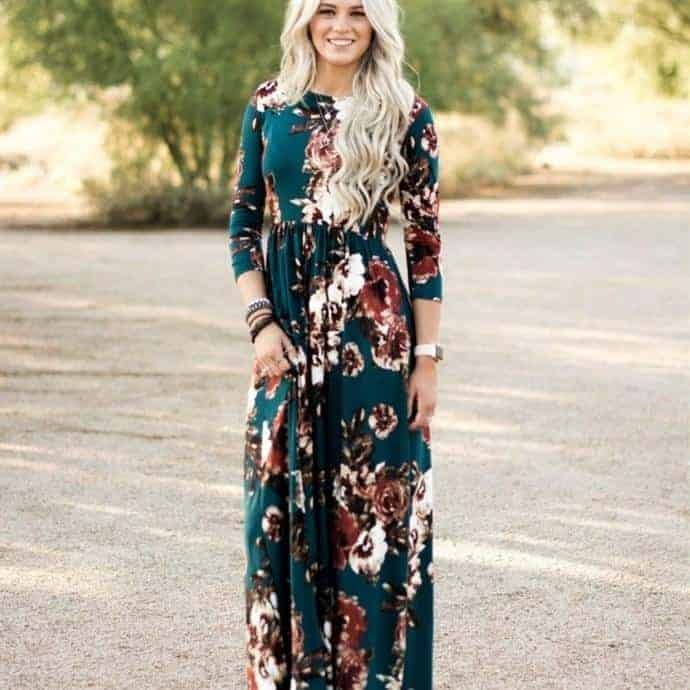 Such a great dress for spring and Easter! 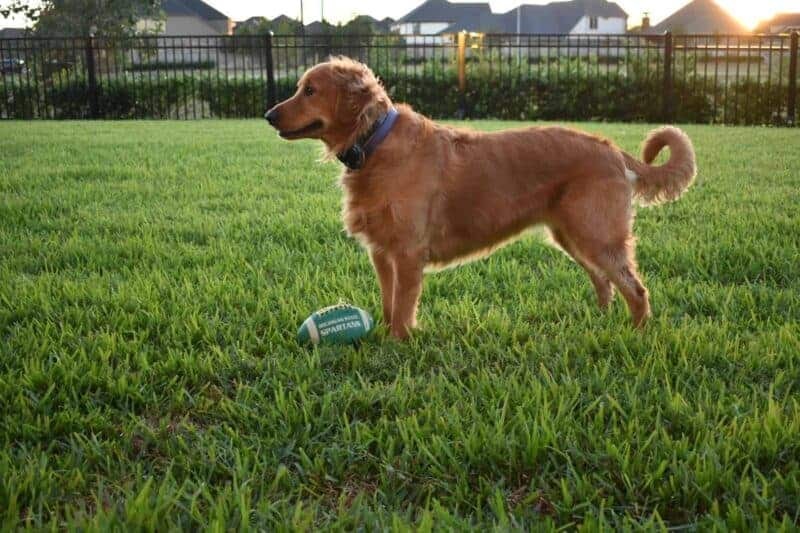 I’ve always had great luck with Marley Lilly, too. 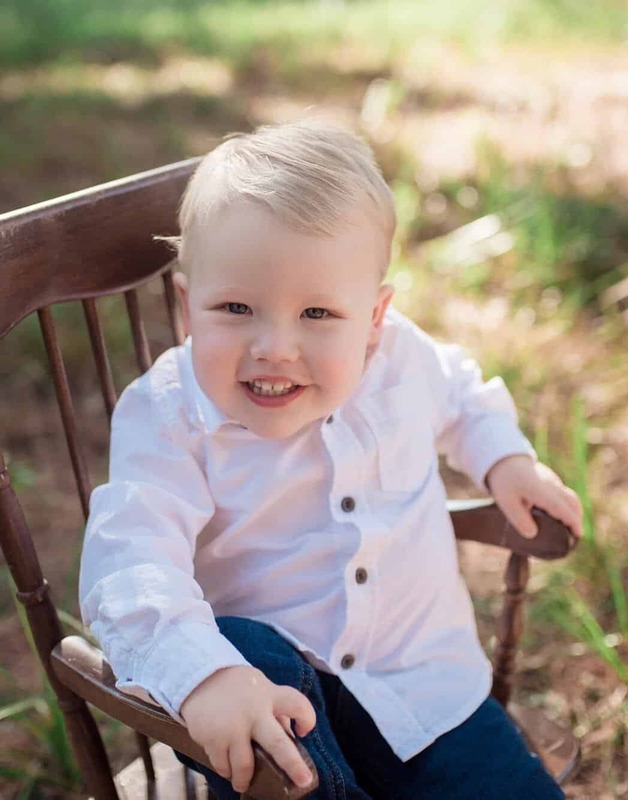 They’re an online boutique that specializes in monogrammed/personalized items. I’ve ordered quite a few things from their store, and everything has been made of great quality! 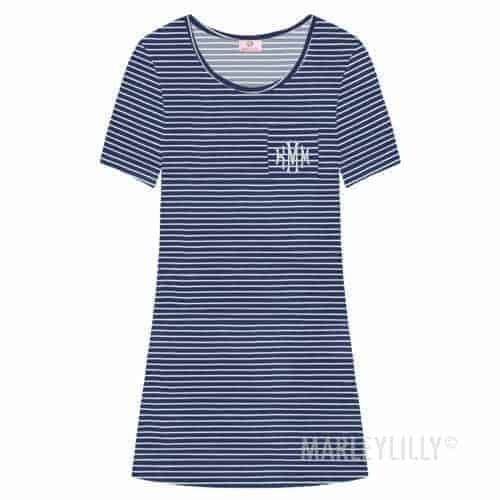 This boyfriend dress looks so stinkin’ cute. I love a good, comfy dress for the spring + summer months. I think I’ll go with this blue + white striped one, but the black looks great, too! Another great find lately is the website Brook & York. They offer free shipping on all orders, and their products are gorgeous! I’m in love with this simple cuff that can be monogrammed + personalized ( with color choices). 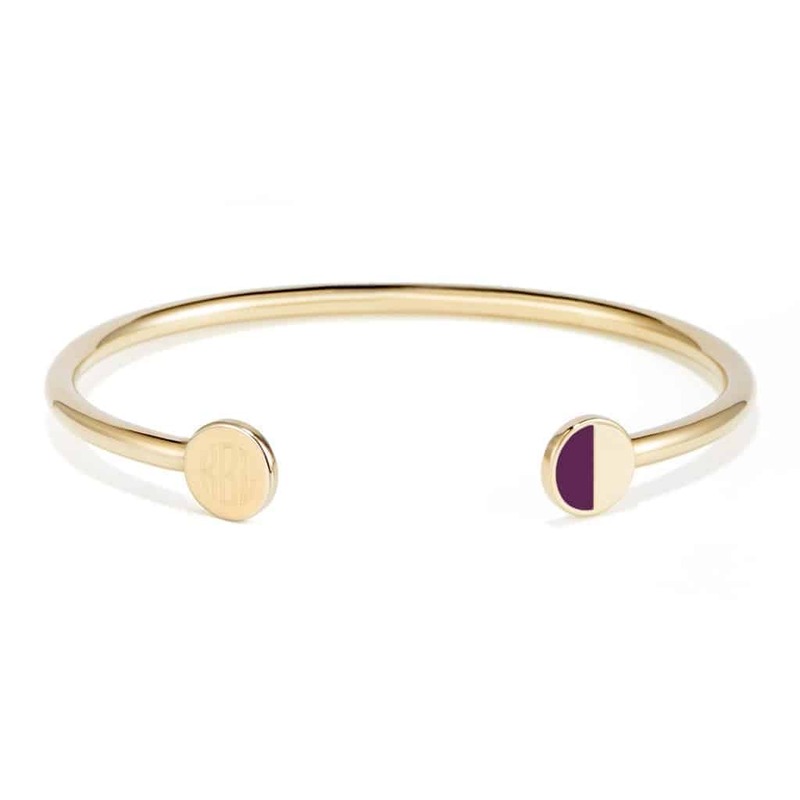 I love to stack bracelets, and I think this lovely number would add nicely to my little* collection. They also have some gorgeous pendant necklaces that I’m drooling over, too. *The author reserves the right to use this term however she chooses. Little may or may not be in fact… little. LOVE, love, LOVE these earrings! 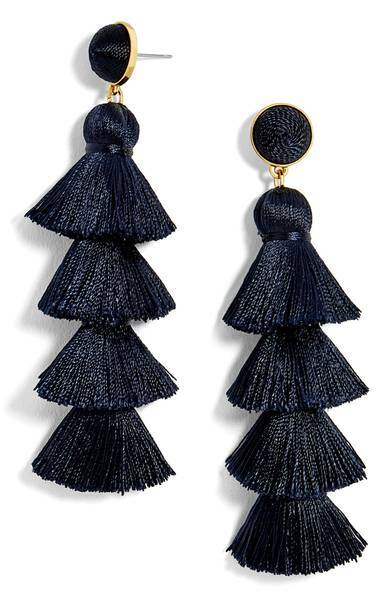 I’ve had my eye on tassel earrings for a while, and these always look great when I see them on other blogs + models. I love the navy, but all the colors look so cute! I personally think they look best when you wear them with your hair down. They have a ton of other colors, and the maroon ones are on sale for $29! If you’re looking for a good great series to get into for your Spring Break vacation or just a good ole nighttime read, then you’ve got to check out this Hundred Years Trilogy! I have to be 100% honest… this former librarian definitely ordered the books in the wrong order… TWICE! I ordered #3 first, then #2, then I realized I was a complete idiot and ordered the first one (Some Luck). I can’t even with my blonde baby brain right now. The series follows a family (family tree included) throughout a century of all kinds of crises and issues. 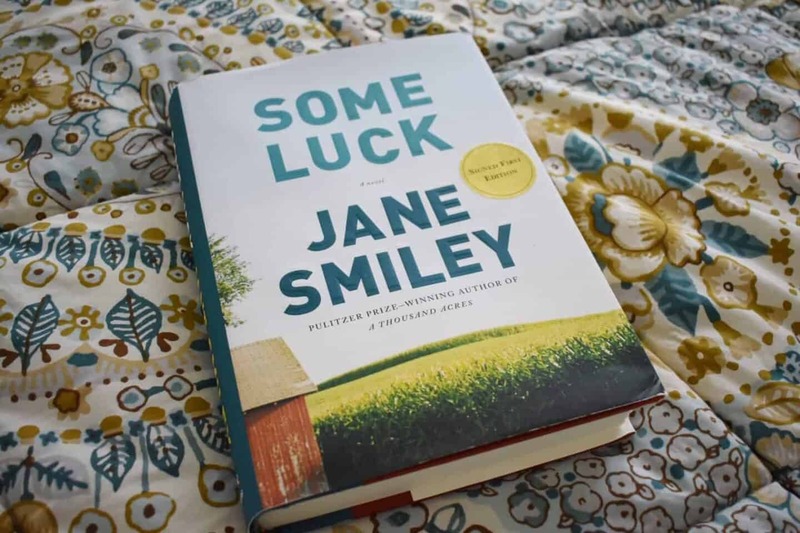 The characters are very keenly developed and you immediately are sucked into their psyches from page one. Even though I started the series in all kinds of the wrong order, I’ve loved reading about the family as they go through the years. They’re very similar to my family in many ways, and I’m sure you’ll find similarity to yours, too. This would make a great gift for friends and/or family who live across the country. 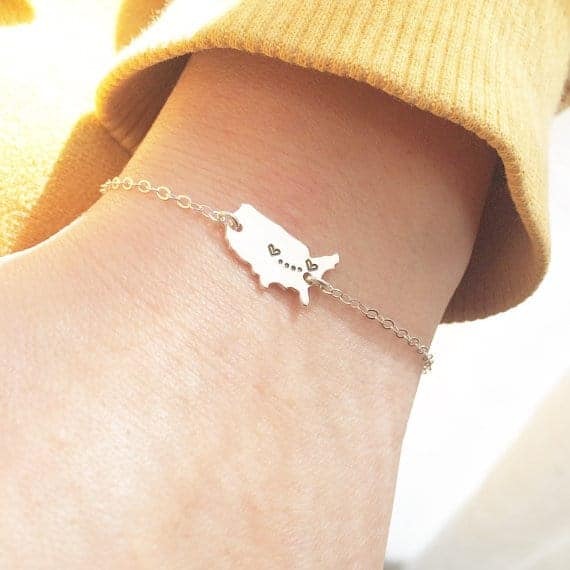 It’s a bracelet that’s customizable to connect two cities in the U.S. Love the idea! You can have it made in gold, sterling silver, or rose gold. These lovelies come in 13 colors, and I’d honestly take any of the 13. 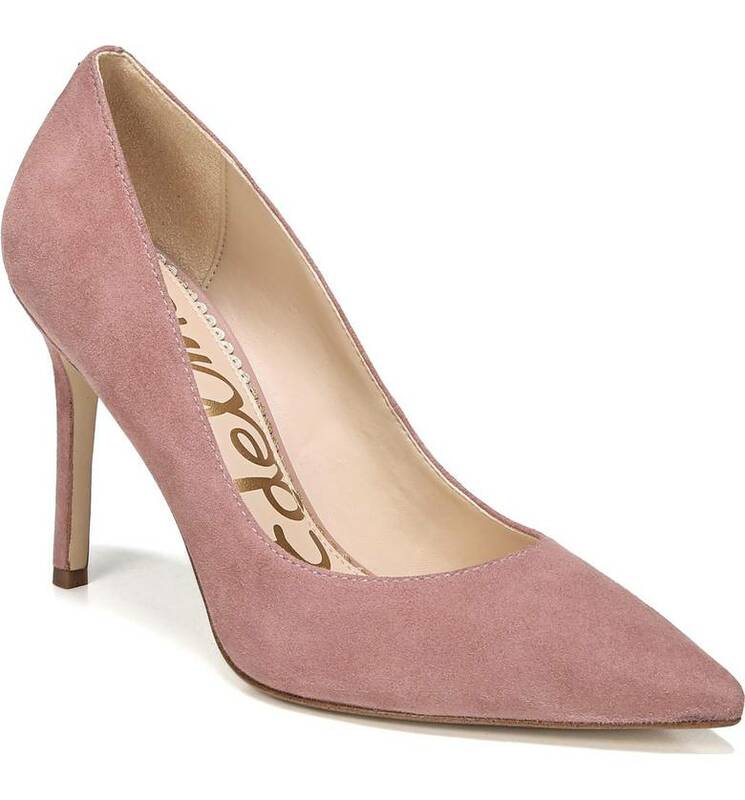 They’re a little pricey, but for a good pair of pumps, I could be persuaded. I love the heel height and the pointy toe. Definitely a classic pair of pumps! I know, random, and not at all fashion related. BUT! It’s glorious. As a former English teacher + librarian, I feel irked when people use bad grammar. I especially don’t like it when they’re being mean while they use bad grammar. 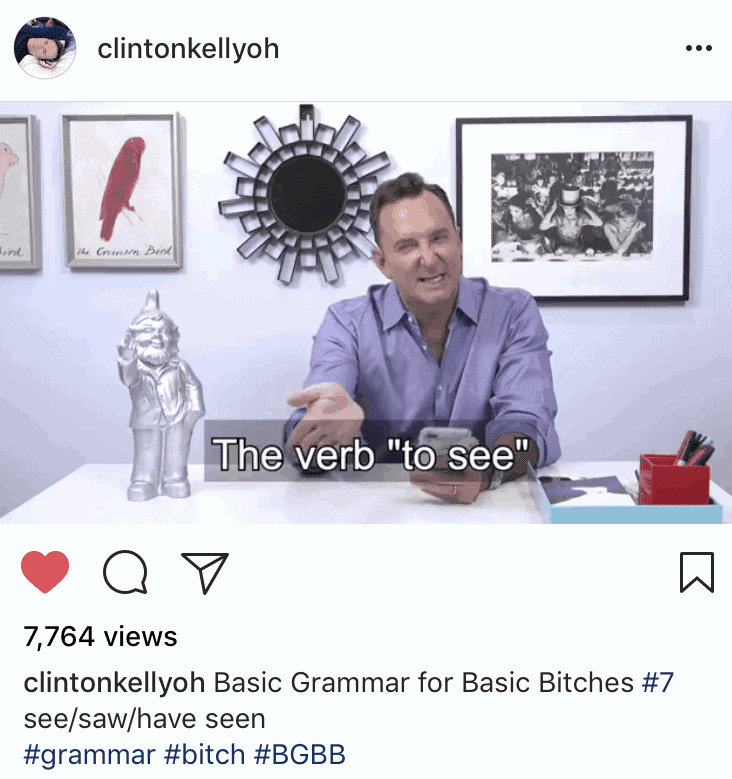 Clinton Kelly has posted a few “educational” videos meant at correcting people who aim insults at him using horrible grammar. The videos are HILARIOUS!